Is cheating on exams against sorority rules? 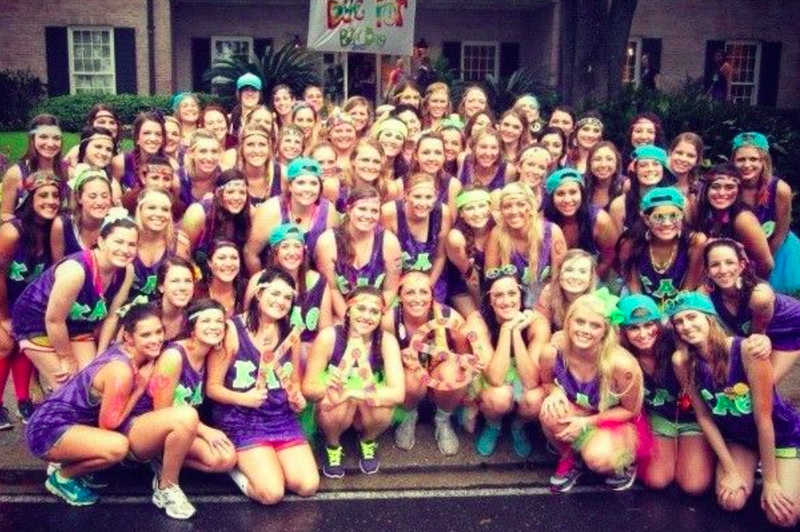 Do sorority girls cheat on college exams? Well, many sorority girls are honest, helpful, and caring, but not all sisters are this way. A sorority girl at a local university was caught cheating on her exams. On campus, she goes by the name of “Bobo.” With a 3.82 GPA and a college scholarship, you would expect that she would have everything going for her. But when she was caught cheating on her exams, everything went downhill. The following is from a fellow student in the class that wanted to tell her story. “She walked into class with a dirty smirk on her face, and I knew what she was going to do… I could just tell. I couldn’t let her mess up the curve; she was going to ruin everything and cheat. So I knew that I had to tell the professor, I couldn’t take it anymore! I mean what would you do in that kind of situation? As she sat down in her seat with her yellow pencil, I knew that right after the exam I had to tell the professor. I thought to myself, wait a second… it will be too late. I made believe that I had finished my exam and tapped the professor on the shoulder. I whispered in his ear and hinted that I should come out in the hallway. The question is… If the class was at stake, what would you do?